Gaps in sports participation are not a new phenomenon, or unique to Wales, but are a blot on the sporting landscape. In Wales, gaps exist amongst young women and girls, people with disabilities, children from deprived communities, and people from BME backgrounds. With £3m set aside to tackle inequalities within sport, Sport Wales decided to take positive action and proactively target new organisations and groups who could potentially take advantage of the funding with new ideas to reduce these inequalities. 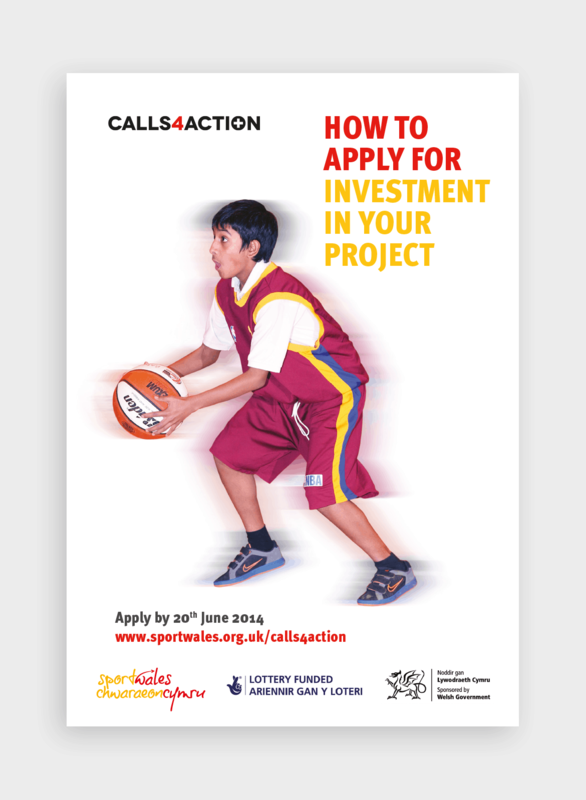 jamjar worked with Sport Wales to develop a campaign targeting these groups to encourage funding applications. A highly targeted campaign was developed to reach and directly engage as much as possible with new organisations and individuals who might not usually think of sport as a working partner. Endorsement – Getting public endorsement from influential figures outside sport that would resonate with the target audience. Case studies – to emphasise the focus on girls and young women, child poverty, disability and BME communities and bring Sport Wales work to life. Long-term engagement – We didn’t want our work to be a one-off. Brining new people to the sporting table needed to be a long-term approach so that we could feel the benefit after the project had finished. In the media – A media launch was held at a community sports event using Commonwealth Games boxing medallist Lauren Price and BME sports coach Robert Muza. These individuals could highlight the target audience for the funding. A live evening broadcast from Holyhead and Anglessey Weightlifting and Fitness Centre was also featured on BBC Wales Today. To the mailbox – Working with the Wales Council for Voluntary Action, a targeted e-mailing list of groups and organisations was put together to promote the project and signpost to more information, including the information roadshows. Where they are @ – Weekly social media engagement plans were put together that included individually targeting around 200 social media accounts covering groups and organisations involved in BME work, women and girls, deprived communities and disabilities. On the Road – Four information roadshows were held across Wales – two in South East Wales, one in West Wales and one in North Wales. On message – Blogs were put together with the Chief Commissioner of Girlguiding Cymru, the Chief Executive Officer of Race Council Cymru and ex-footballer Nathan Blake. In Print – We targeted publications and websites that would be different to the usual sporting outputs. These included the WCVA Network Wales publication and the Community Housing Cymru website. The Supporters – a helpline was set up to field calls and enquiries, an online guide was created and best practice case study films – focusing on the four subject areas – were put together to give some ideas. Against a target of 100, 145 formal applications were received. 57 from women and girls organisations, 35 from deprived community groups, 35 from disability projects and 18 from BME-related projects.